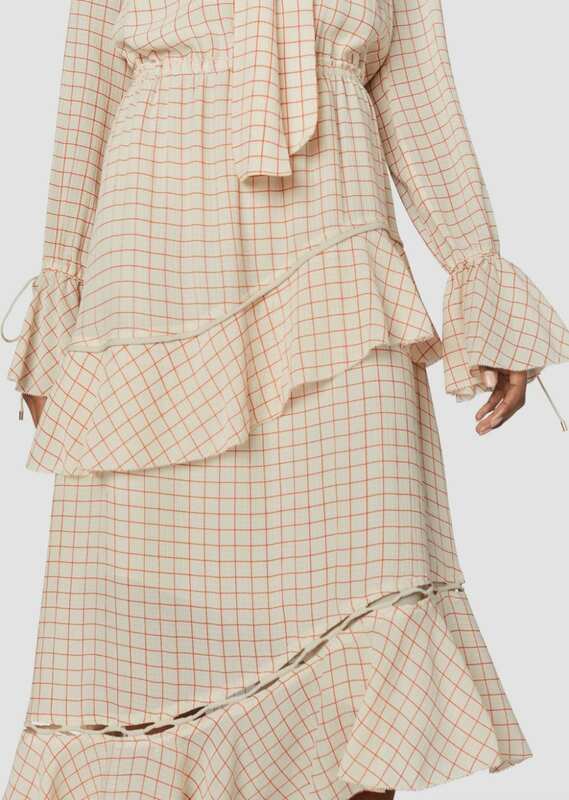 Long-sleeved tie neck maxi dress in grid-printed off white seersucker silk georgette with asymmetric tiered skirt. 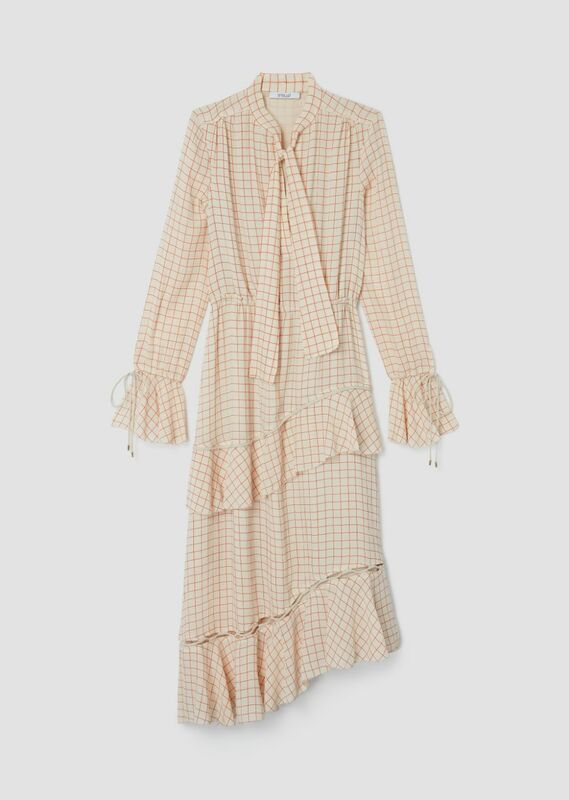 Long, wide sleeves with drawstring-gathered cuffs. 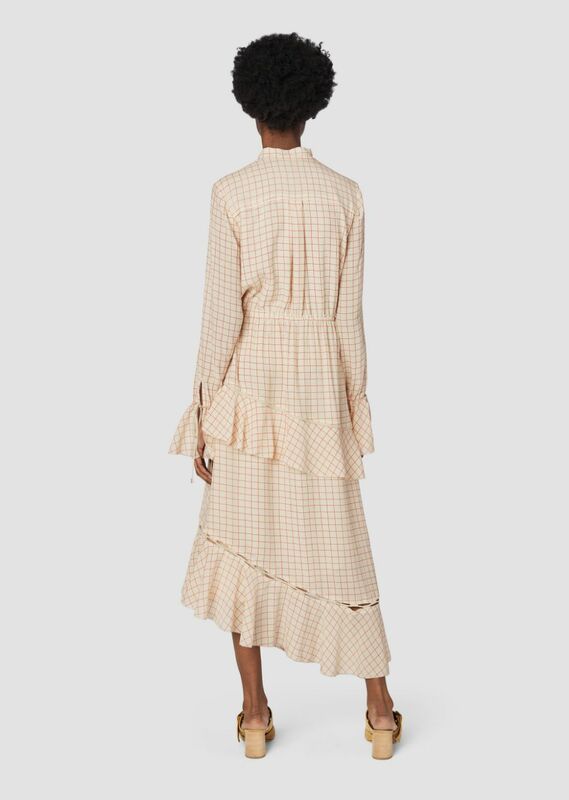 Cut-out detail at skirt with visible knitted mesh underlay. Lined. Imported.